We Know Shipping Bowrider Boats! bowrider boat moved anywhere in the world. The bottom of your bowrider's hull will be completely cleaned before shipping and the deck gear, antennas, and all personal items will be removed from the boat. The wind shield is removed and packed separately, to reduce the chance of being damaged en route. In addition, all fuel and water will be emptied from your bowrider. The boat transport specialists at Nationwide Boat Shipping will make sure that all necessary prep is done before your bowrider is loaded for transport, so your investment arrives unharmed. In addition, we will take care of obtaining all permits and escorts needed for your bowrider shipping process. We offer a full range of shipping services for your bowrider. After the necessary prep is finished and your bowrider is ready to load, we can shrink wrap your boat, to keep it clean during transportation. Additionally, our hydraulic trailers are equipped with a hydraulic tongue, which provides more leveling and height adjustments. These trailers have all attachments needed to handle bowriders with or without cradles. Our combination of experienced bowrider transport experts and state-of-the-art equipment is only one of the reasons we are the country's choice for bowrider shipping. At Nationwide Boat Shipping, getting your bowrider safely where you need it at a price you can afford is our main goal. Call (800) 352-8475 to talk with one of our logistics professionals for a free no obligation quote today! 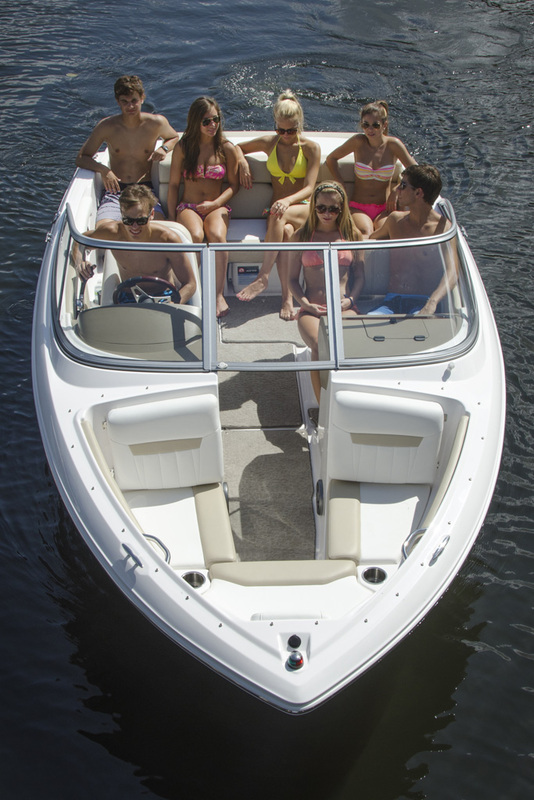 Possibly the best choice for a family boat, bowriders are known for their versatility. They are the perfect luxury option for up to nine people to enjoy. Many bowriders have a small metal attachment at the back of the boat called a transom tow eye, making it easy to attach a towrope for watersport fun. It's no wonder these boats appeal to such a wide audience. Whether you need to have a bowrider that you have just bought or sold or need to have it shipped to your new location, you need the best boat transport in the country. You need the experience of the bowrider transport specialists to take care of your favorite water vessel. Just choose your destination and Nationwide Boat Shipping can transport your bowrider to any state in the nation. "I made the right choice when I picked Nationwide Boat Shipping to transport my Bowrider! They did an amazing job!" "Best boat shipping company around! Thanks to the team at Nationwide Boat Shipping for getting my bowrider shipped without a hitch!" "Nationwide Boat Shipping treated my bowrider like it was their own & it arrived without a scratch! 5 star service!!!"